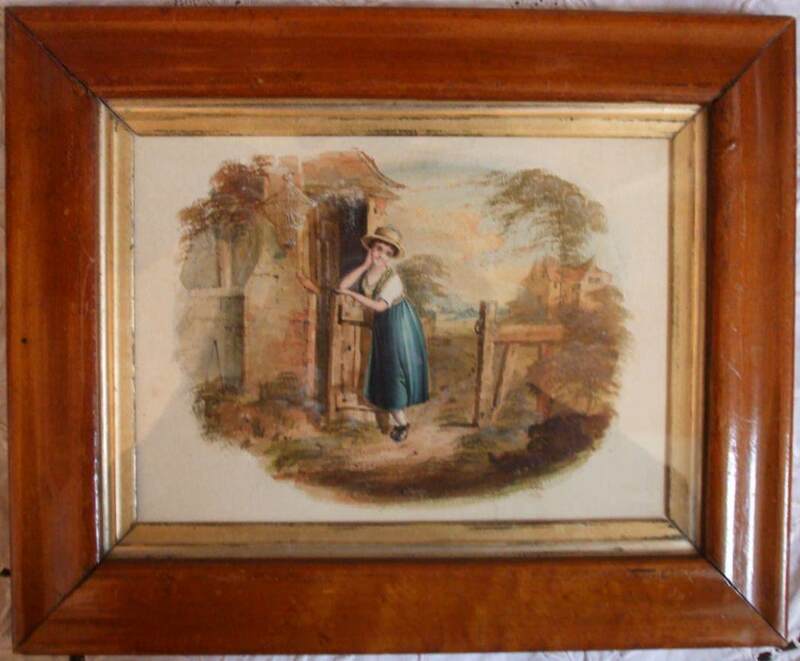 This delightful Mid 19th Century Antique English Victorian Watercolour depicts a young country girl leaning against a cottage gate with a caged bird hanging beside her to the left. 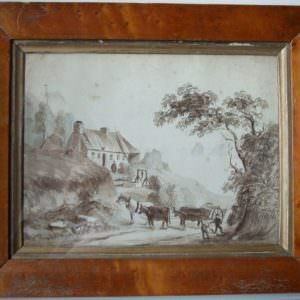 Set in a frame of moulded maplewood with an attractive golden brown patina, this lovely picture captures perfectly the Victorians’ romanticised view of country life. 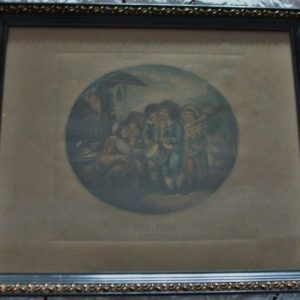 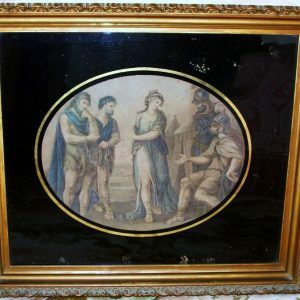 Overall size, including frame ~ Height ~ 24.10 cm. 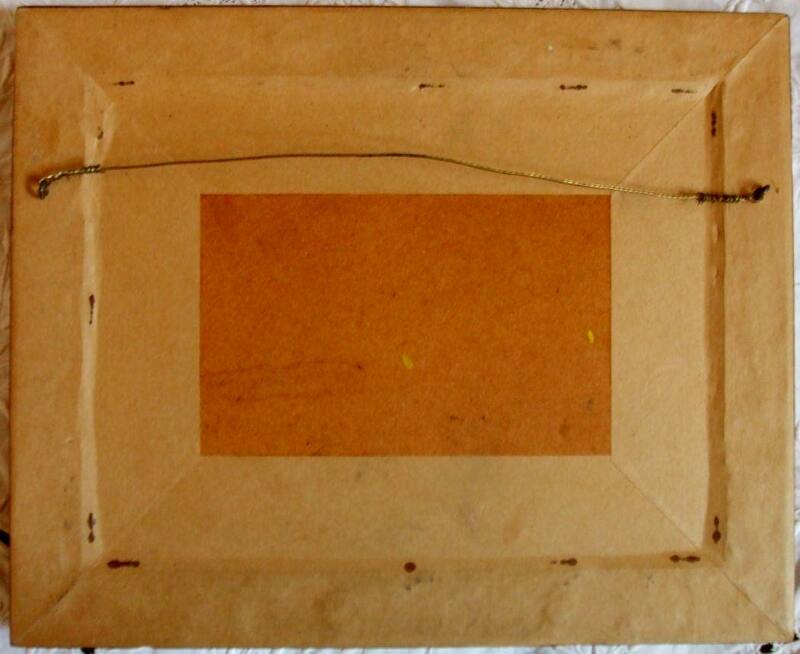 / 9.50 inches ~ Width ~ 29.80 cm. 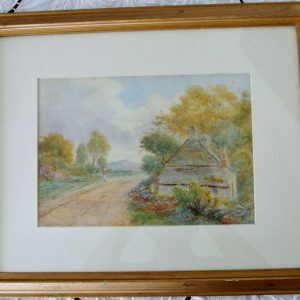 / 11.75 inches ~ Year ~ Circa 1850.